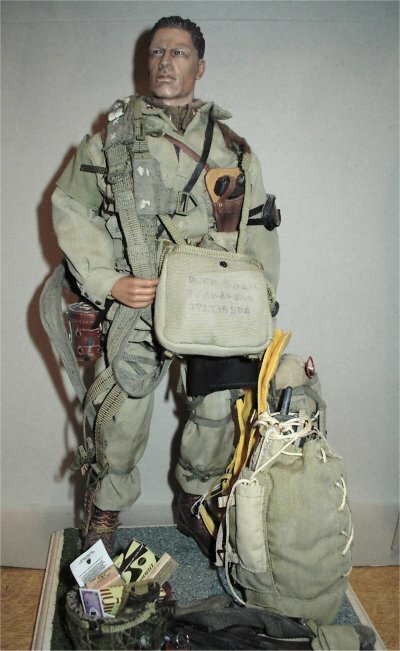 Welcome to my US Airborne Pre-Jump Paratrooper Page. 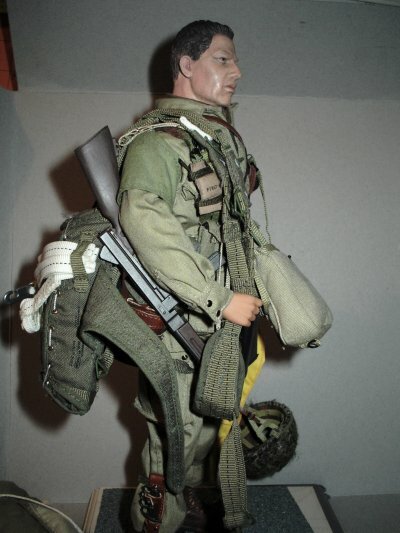 This diorama came about, after looking at all of my US airborne figures, and I realised that although they are assembled as fully equipped. None of them are in a true pre- jump pose. And after looking at some of my reference pictures, I finally got the idea for this figure. 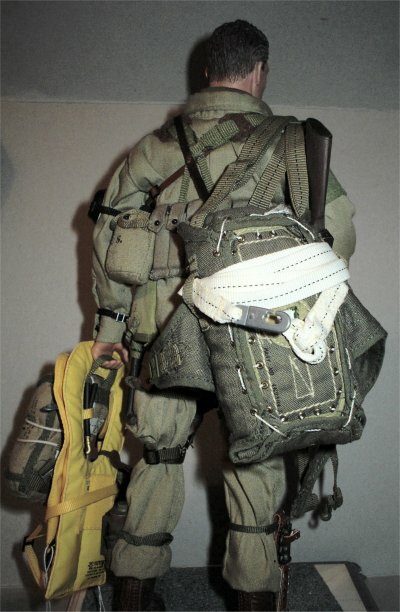 As it gives me the chance to make another paratrooper, plus it also gives me the opportunity to demonstrate all the equipment that the paratrooper would carry. As well as a chance to thin out some of my spares boxes. 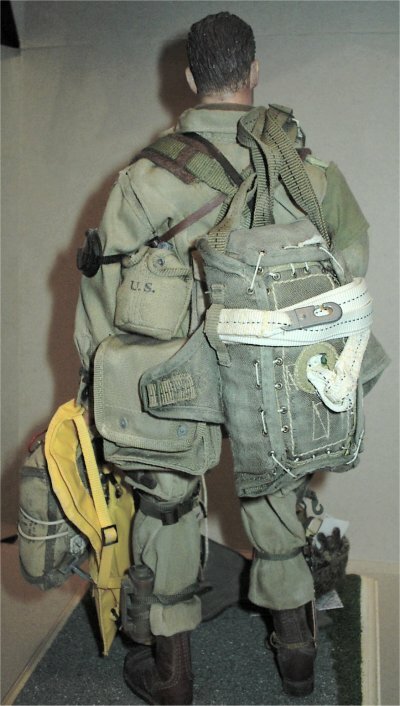 With this figure, I can show the amount of equipment that I have put on my other models. 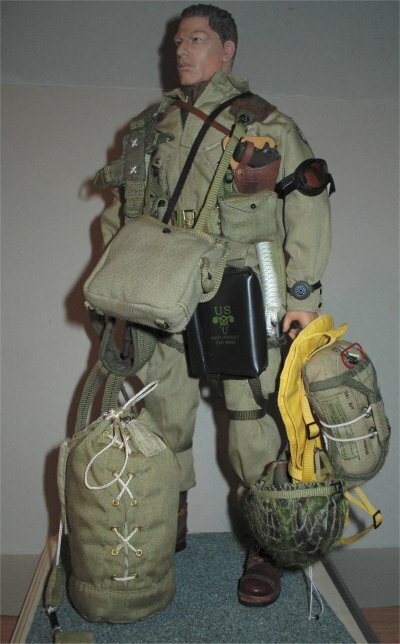 The current kit list is below of what I have used for this figure. In the pictures below, I have placed the figure on a base I have, and added the concrete groundwork mat onto it. This was done in the same way as with my .30 cal gun crew team. 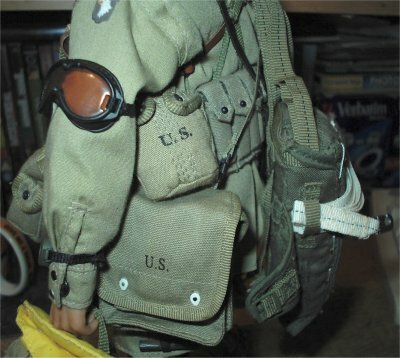 DiD web belt, binoculars and case, knife and scabbard, 3 pocket grenade pouch, water bottle, medic pouch and ammo pouch. DiD .45 pistol, 5 x Thompson magazines, metal helmet and netting with CVI insignia, shovel and cover. 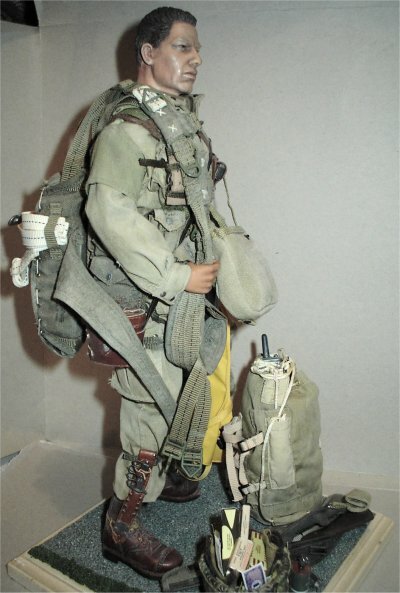 DiD parachute and spare, Thompson gun and rifle bag, gas mask bag and grenades. 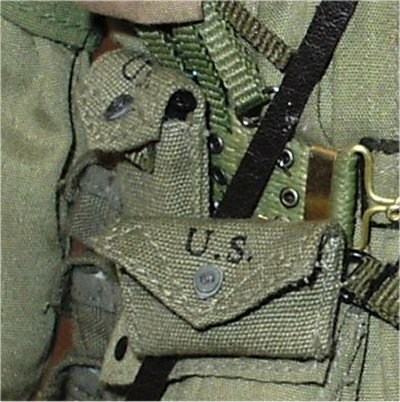 DML shirt with officers insignia, shoulder webbing, shoulder holster, Mae West vest, riggers pouch and 5 cell Thompson pouch. 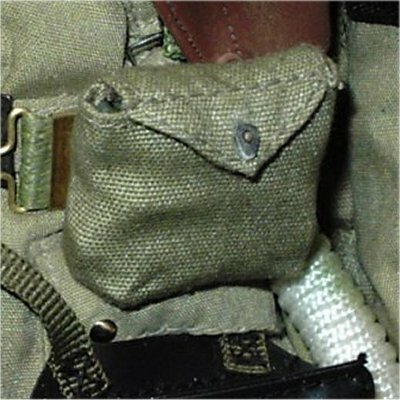 All of the DML pouches will have CVI lift dots added to them, as they stand out against the DiD pouches. Others to be added as I build this figure. In the pictures below, the left one is the basic headsculpt with a paint over of Dullcote, but after I had an accident with it. I had to do a full repaint of it as shown below right, because I had ended up ruining it. One thing I am annoyed at most of all with the repaint, is that I have had to paint over the beard colour. 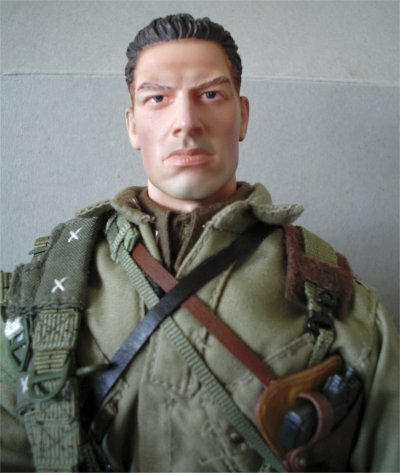 As this was the main thing that made me use this headsculpt in the first place. 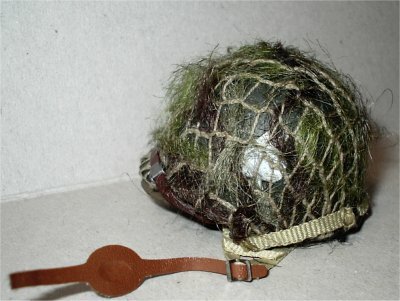 This is the helmet I am using for my model, and for this figure I wanted something different for the helmet. So used some Jute thread that I bought some time ago from Opsgear, this is just like a type of woollen thread. 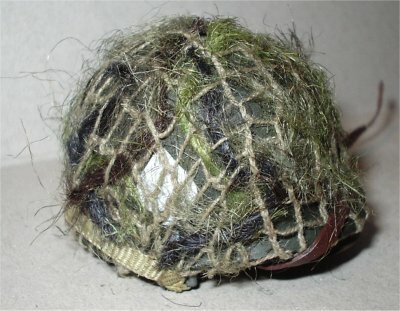 All I did to add the scrim to the helmet, is thread it over and under the netting across the helmet. 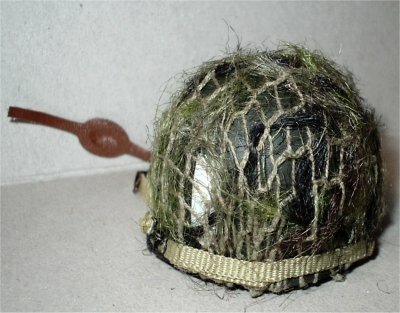 I have added some more thread to the helmet since these pictures were taken. As want to partly conceal the unit emblems on the side of the helmet. Then once happy with that, I used a pair of scissors to cut partway through the Jute thread. Then I used my tweezers to spread the threads about to get the effect above. The good thing about the Jute is that it came in different colours, so I can sort of mix and match it to suit myself. To add more items to the kit list of this figure, I had a dig around the bottom of my spares boxes. 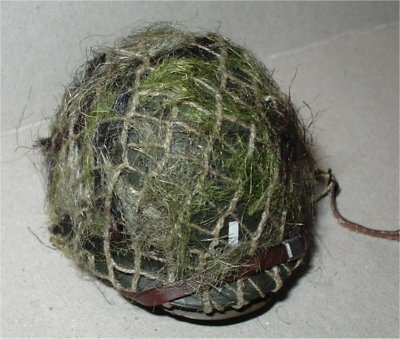 Which I have placed in the helmet on the base, such as gloves, money food boxes and some TNT packages. Under the helmet is a map that I have printed out. Into the leg bag I put a handie talkie radio, as I wanted the bag to look like it is packed out as well. The stock on the Thompson gun was given a repaint, to try to add a sort of grain into it. The metal parts were drawn over with a pencil, and rubbed in to represent wear on them. The base had a grass edge added to it, as I thought that the base looked to flat to me. The concrete mat has to have a drybrush of grout on it, as this helps to bring out the detail in it. To show this better, I have explained it on my Corbin page under the Base Build section. In the picture below right, it shows how I have had to make my own lift dot lock tabs. I had to make these because when I was adjusting some of the other equipment, I found that I had lost one of them. And as I only have enough CVI parts left for the other equipment, I had no alternative but to attempt this. To make them, I used a spare DiD lift dot which I placed next to some thin card, which I cut to the correct width. I then cut it to the right length, I then held the piece in my tweezers, and shaped it with some sandpaper. I also had to make the peg part of the lift dot as well, because when I tried to fit the new lock piece, the DiD peg part broke on me. Making the pegs is shown on my Lift Dots page. With the flat lock part, I then made a hole in the centre for the inner peg of the lift dot, and pressed it in place. I then cut the peg part to length, and used a flame from my lighter to make the end round off to lock the bag closed. I just have to paint them with some Gunmetal paint to finish them off. 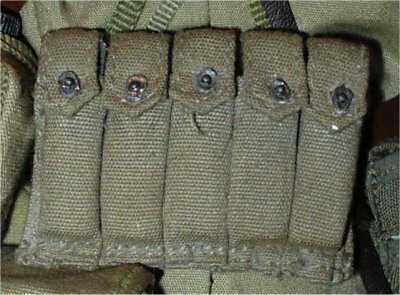 The three pictures below show the finished lift dots that I made for the pouches. 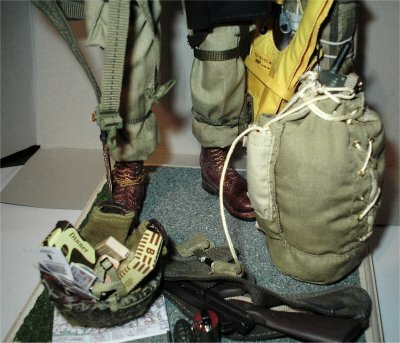 The first pouch is the Rigger one that was made by DML for the Frank Laird figure, the second pouch is the DML Thompson magazine holder. 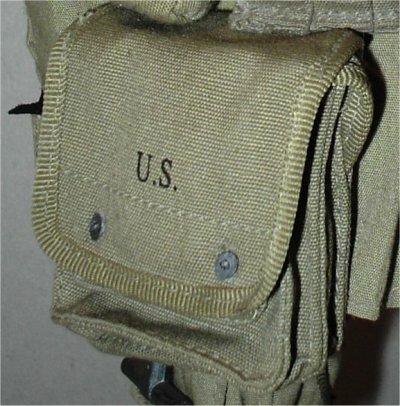 The third picture is the DML despatch bag, all of the lift dots have been painted with the Gunmetal paint. 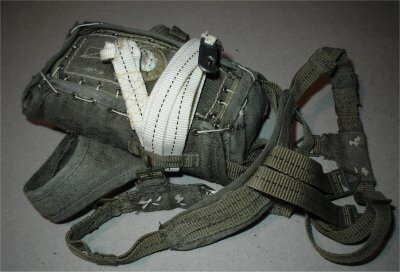 The last picture is of the DiD pouches for a comparison with the one's that I have made. 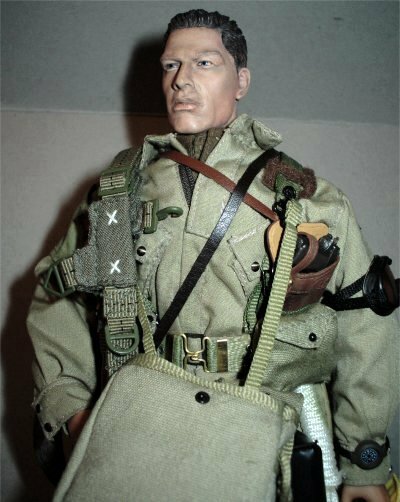 This is my finished paratrooper and I am surprised a bit with the amount of kit he has, no wonder why I have trouble with the parachute straps on my figures. As I think this figure has to be the most loaded of all of my soldiers. 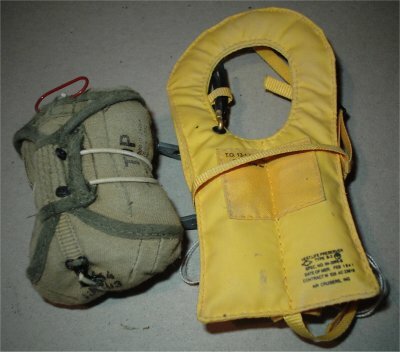 The first two images below are of the spare parachute, Mae West and main parachute, which I have given a brushing over with Tamiya Light Sand weathering powder. 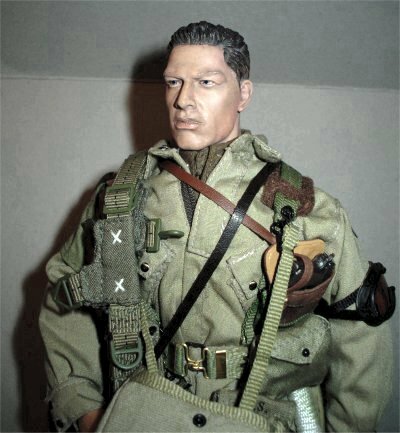 This is a very close colour to the Soldat 2 uniform I have used on this figure, but it is still light enough to make the crease tops stand out. The other pictures below are the finished figure posed on the base I have made for it, which needs some final touching up on it.